Built To Exceed Factory Specifications. 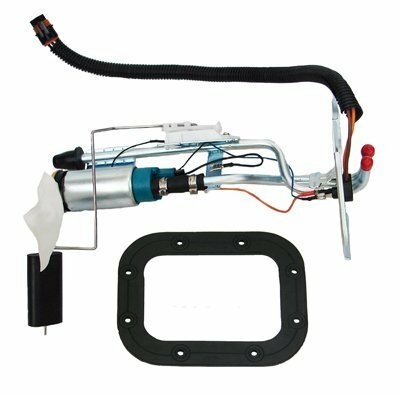 1987-1995 Jeep Wrangler YJ 20 gallon tank with fuel bowl and rectangle sending unit hole. 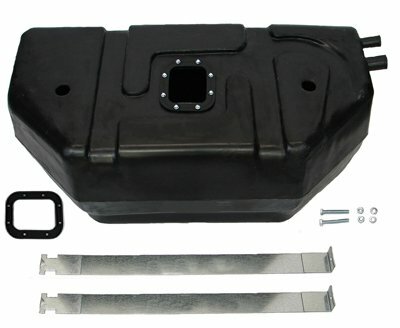 Replaces original 20 gallon plastic tank with or without fuel injection (this tank will replace what Jeep called a "15 gallon PLASTIC tank" w/ rectangle sending unit hole from 1991-1995). Includes new gasket and two new upper straps. 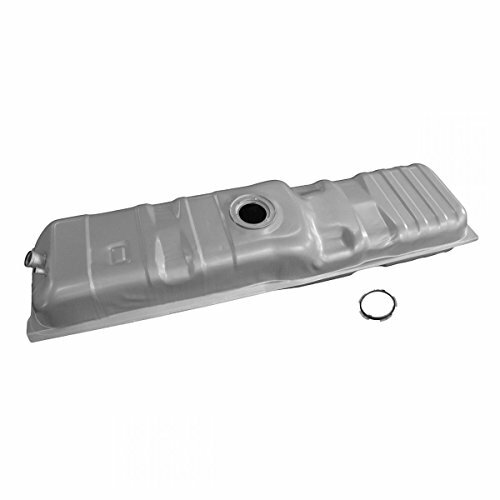 This tank will directly replace Domestic model numbers 52002633 and 52018287. 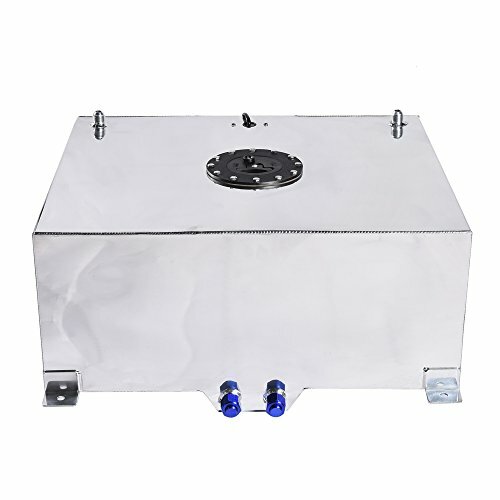 This tank will NOT directly replace export model numbers 52018779, 52019226, 52007258 or 52002622 - a new skid plate and sending unit are required. 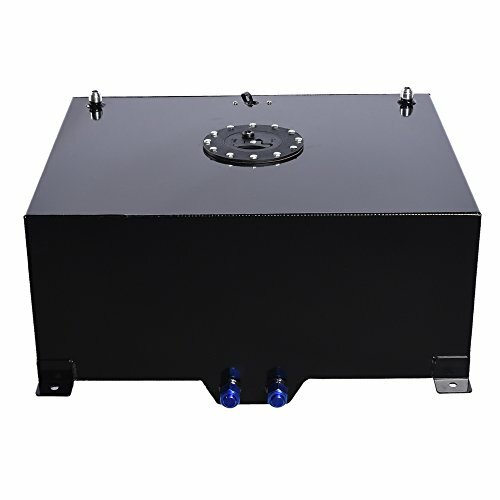 (Examples of fitment issues: fill and vent pipes hit frame rail, sending unit to tall, tank doesn't sit flat on the skid plate, tank appears to be too tall). There is a possibility of additional OEM sku's, if yours does not match one of these six numbers, please call or email us before ordering. 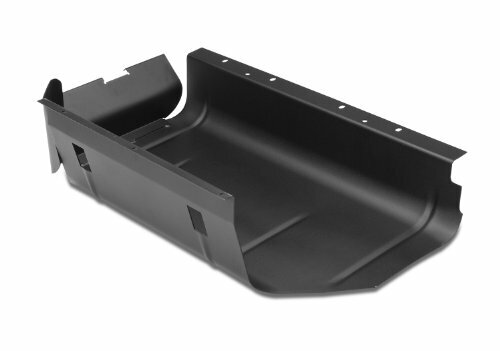 Some early 1987-1990 Jeep 20 gallon plastic fuel tanks had an open ended skid plate without the rolled heat shield over the exhaust pipe, we recommend replacing the skid plate and fill hose/vent hose to resolve any fitment issues. 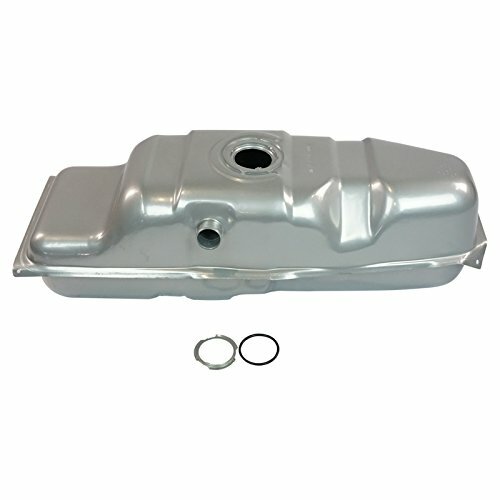 1987-1995 Jeep Wrangler 20 gallon tank w/ fuel injection. (RECTANGLE HOLE) Includes new fuel pump. (These will run Most V-8 Conversions including TPI and Some Vortec) OHM Range is 90 @ Full and 0 @ Empty. Wiring Diagram: The wires are Black=Ground Brown= hot to sending unit Orange=hot to pump "International buyers will be responsible for all import fees and duties. 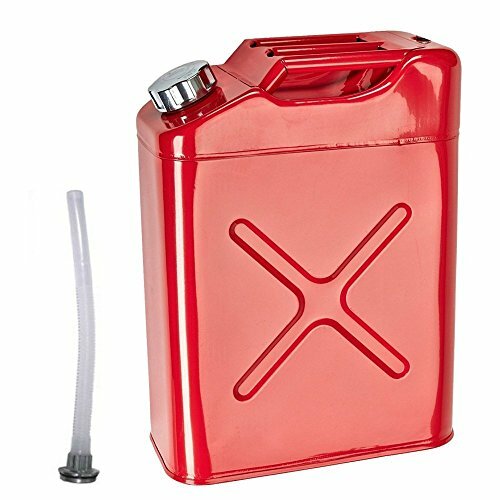 The Seller will not be responsible for any fees from the buyer importing this to his/her country"
When first time to use the tank, clean the inner wall first with a cup of petrol. Vehicle Fits:1987-89 Chevy R2500 Truck 20 Gallon Fuel Tank Gas Engine with Fuel Injection1987-91 Chevy R3500 Truck 20 Gallon Fuel Tank Gas Engine with Fuel Injection1987-89 Chevy V2500 Truck 20 Gallon Fuel Tank Gas Engine with Fuel Injection1987-91 Chevy V3500 Truck 20 Gallon Fuel Tank Gas Engine with Fuel Injection1987 GMC R1500 Truck 20 Gallon Fuel Tank Gas Engine with Fuel Injection1987-89 GMC R2500 Truck 20 Gallon Fuel Tank Gas Engine with Fuel Injection1987-91 GMC R3500 Truck 20 Gallon Fuel Tank Gas Engine with Fuel Injection1987 GMC V1500 Truck 20 Gallon Fuel Tank Gas Engine with Fuel Injection1987-89 GMC V2500 Truck 20 Gallon Fuel Tank Gas Engine with Fuel Injection1987-91 GMC V3500 Truck 20 Gallon Fuel Tank Gas Engine with Fuel InjectionDetails: Fuel Tank Option: 20 GallonReplaces: Dorman 576-336 Hollander 197-1417 Spectra Premium Industries TNKGM1CSpecifications:trong> Capacity: 20 Gallons/76 Liters Dimensions: 56 X 14 X 11 inches With pan in tank (for Fuel Injection) Not correct for diesel modelstrong> Includes the lock ring and gasket for the sending unit. 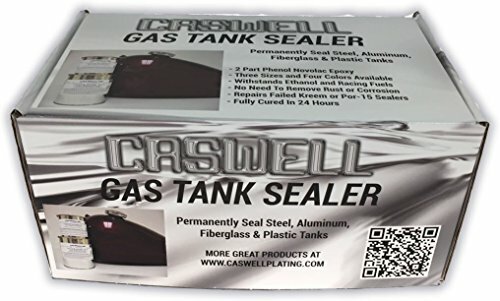 Compare prices on 20 Gas Tank at ShoppinGent.com – use promo codes and coupons for best offers and deals. Start smart buying with ShoppinGent.com right now and choose your golden price on every purchase.